Since 2008, the Human Rights Centre has organised annual projects in the fields of education, cultural promotion and peace education for the National Civil Service (Italian Law 64/2001). - support in the management of the IT infrastructure of the Archive, communication networks and newsletter, activation of new tools with particular attention to open-source software. Volunteers: Gemma Cavaliere, Giorgia Salerno, Emilio Vedovato, Lucia Zaupa. 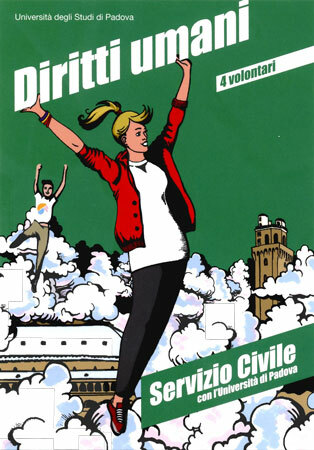 Volunteers: Elisa Baldon, Maria Elena Caruso, Francesco Peruzzo, Giorgia Zorzi. Data and documents concerning volunteer civil service projects at the Human Rights Centre of the University of Padova are available in the Italian version of the website. By accessing these pages you are leaving the English Version of the Website.